Despite the security concerns that have plagued Facebook for years, most people are sticking around and new members keep on joining. This has led Facebook to break records numbers with over one billion monthly active users as of October 2015—and around 6000 million active daily users. We share our lives on Facebook. We share our birthdays and our anniversaries. We share our vacation plans and locations. We share the births of our sons and the deaths of our fathers. We share our most cherished moments and our most painful thoughts. We divulge every aspect of our lives. We even clamor to see the latest versions even before they’re ready for primetime.But we sometimes forget who’s watching. We use Facebook as a tool to connect, but there are those people who use that connectivity for malicious purposes. We reveal what others can use against us. They know when we’re not home and for how long we’re gone. They know the answers to our security questions. People can practically steal our identities—and that’s just with the visible information we purposely give away through our public Facebook profile. The scariest part is that as we get more comfortable with advances in technology, we actually become more susceptible to hacking. As if we haven’t already done enough to aid hackers in their quest for our data by sharing publicly, those in the know can get into our emails and Facebook accounts to steal every other part of our lives that we intended to keep away from prying eyes.In fact, you don’t even have to be a professional hacker to get into someone’s Facebook account.It can be as easy as running Firesheep on your computer for a few minutes. In fact, Facebook actually allows people to get into someone else’s Facebook account without knowing their password. All you have to do is choose three friends to send a code to. You type in the three codes, and voilà—you’re into the account. It’s as easy as that.In this article I’ll show you these, and a couple other ways that hackers (and even regular folks) can hack into someone’s Facebook account. But don’t worry, I’ll also show you how to prevent it from happening to you. 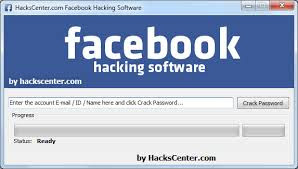 The easiest way to “hack” into someone’s Facebook is through resetting the password. This could beeasier done by people who are friends with the person they’re trying to hack. The first step would be to get your friend’s Facebook email login. If you don’t already know it, try looking on their Facebook page in the Contact Info section. It will now ask How can we reach you? Type in an email that you have that also isn’t linked to any other Facebook account. It will now ask you a question. If you’re close friends with the victim, that’s great. If you don’t know too much about them, make an educated guess. If you figure it out, you can change the password. Now you have to wait 24 hours to login to their account. If you don’t figure out the question, you can click on Recover your account with help from friends.This allows you to choose between three and five friends. Use an email address specifically for your Facebook and don’t put that email address on your profile. When choosing a security question and answer, make it difficult. Make it so that no one can figure it out by simply going through your Facebook. No pet names, no anniversaries—not even third grade teacher’s names. It’s as easy as looking through a yearbook. These work the same way as the software keylogger, except that a USB drive with the software needs to be connected to the victim’s computer. The USB drive will save a summary of the keystrokes, so it’s as simple as plugging it to your own computer and extracting the data. You can look through Keelog for prices, but it’s bit higher than buying the software since you have the buy the USB drive with the program already on it. Use a firewall. Keyloggers usually send information through the internet, so a firewall will monitor your computer’s online activity and sniff out anything suspicious.Install a password manager. Keyloggers can’t steal what you don’t type. Password mangers automatically fill out important forms without you having to type anything in. Update your software. Once a company knows of any exploits in their software, they work on an update. Stay behind and you could be susceptible. Change passwords. If you still don’t feel protected, you can change your password bi-weekly. It may seem drastic, but it renders any information a hacker stole useless. This option is much more difficult than the rest, but it is also the most common method to hack someone’s account. The most popular type of phishing involves creating a fake login page. The page can be sent via email to your victim and will look exactly like the Facebook login page. 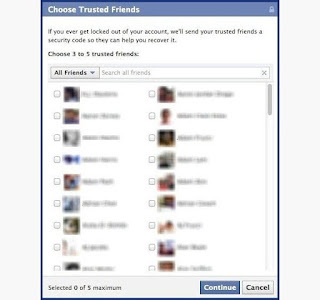 If the victim logs in, the information will be sent to you instead of to Facebook. This process is difficult because you will need to create a web hosting account and a fake login page.The easiest way to do this would be to follow our guide on how to clone a website to make an exact copy of the facebook login page. Then you’ll just need to tweak the submit form to copy / store / email the login details a victim enters. If you need help with the exact steps, there are detailed instructions available by Alex Long here on Null Byte. Users are very careful now with logging into Facebook through other links, though, and email phishing filters are getting better every day, so that only adds to this already difficult process. But, it’s still possible, especially if you clone the entire Facebook website. Don’t click on links through email. If an email tells you to login to Facebook through a link, be wary. First check the URL (Here’s a great guide on what to look out for). If you’re still doubtful, go directly to the main website and login the way you usually do. Phishing isn’t only done through email. It can be any link on any website / chat room / text message etc. Even ads that pop up can be malicious. Don’t click on any sketchy looking links that ask for your information. Cookies allow a website to store information on a user’s hard drive and later retrieve it. These cookies contain important information used to track a session that a hacker can sniff out and steal if they are on the same Wi-Fi network as the victim. They don’t actually get the login passwords, but they can still access the victim’s account by cloning the cookies, tricking Facebook into thinking the hacker’s browser is already authenticated. Firesheep is a Firefox add-on that sniffs web traffic on an open Wi-Fi connection. It collects the cookies and stores them in a tab on the side of the browser.From there, the hacker can click on the saved cookies and access the victim’s account, as long as the victim is still logged in. Once the victim logs out, it is impossible for the hacker to access the account. 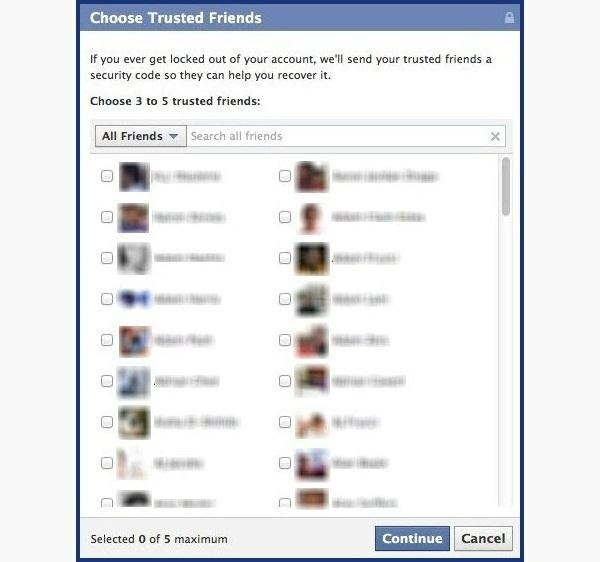 On Facebook, go to your Account Settings and check under Security. Make sure Secure Browsing is enabled. Firesheep can’t sniff out cookies over encrypted connections like HTTPS, so try to steer away from HTTP. Log off a website when you’re done. Firesheep can’t stay logged in to your account if you log off. Use a VPN. These protect against any sidejacking from the same WiFi network, no matter what website you’re on as all your network traffic will be encrypted all the way to your VPN provider. Social networking websites are great ways to stay connected with old friends and meet new people. Creating an event, sending a birthday greeting and telling your parents you love them are all a couple of clicks away.Facebook isn’t something you need to steer away from, but you do need to be aware of your surroundings and make smart decisions about what you put up on your profile. The less information you give out on Facebook for everyone to see, the more difficult you make it for hackers.